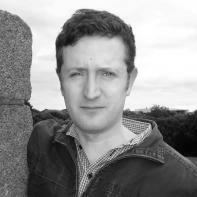 David Mohan is a poet and short story writer based in Dublin, Ireland. His poetry has been published in The Cincinnati Review, Spoon River Poetry Review, Ninth Letter, Stirring, Corium Magazine, New Madrid Journal, New World Writing, PANK and Dialogist. His poetry has been nominated for The Pushcart Prize. a scatter of crumbs on his chest. and hunt, coasting cirrus clouds like jets. almost breaking its wings to escape. of pulse echo, pellet fossils. that lures a soul from its circuit. lost in eighty’s flightless take off.